Learn strategies and techniques for delivering high-quality workplace training that leads to better learner outcomes. Before you can start training others, you must first develop the knowledge and skills needed to convey information in a compelling manner. In this immersive course, you’ll learn how to confidently train others in ways that fully involve and engage the learners. Throughout this train the trainer course, you’ll learn how to create and deliver successful training sessions for audiences of any size. You’ll develop your communication skills, learn how to plan a training session, how to use your voice and body language effectively, deal with difficult participants, answer audience questions and more. We use example videos from real training sessions, similar to the types of training you’ll be performing in the future, in order to help reinforce topics being taught. After learning the fundamentals, you’ll have a chance to practice what you’ve learnt in realistic virtual reality scenarios. This course will enable you to give memorable training sessions, whether you are coaching the whole office or smaller teams. We combine online classes with VR for a unique learning approach. 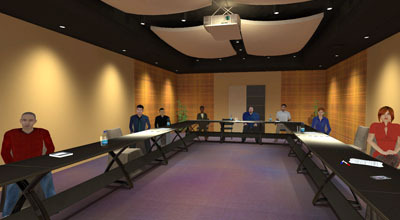 At certain points throughout this train the trainer course, you'll be prompted to practice different training techniques in VR. Practice what you learn with VR scenarios specific to this course. Delivering training sessions is just like any other skill - you need to practice to improve. 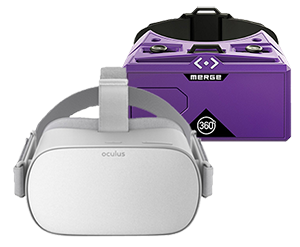 Learn online, practice in VR and receive feedback on your training techniques. This loop occurs multiple times throughout the course and helps you improve your training skills more effectively. Overcome nerves when delivering your training session by practicing in our realistic virtual scenarios. You can practice as often as you need to, building up your confidence and improving your training technique. 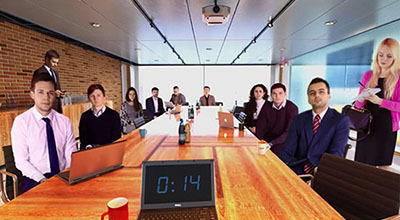 Features in our VR app ensure you’ll be better prepared when delivering training sessions. Within the app, you can load in your own slides, upload training sessions for feedback and track progress over time. Practice delivering your training a number of ways and find out which delivery method best suits your style of teaching. Skills improve the more you practice them. With VR, you can practice in a safe space at your own pace, as often as you need to. Teaching doesn’t come naturally to many of us – the VR training scenarios will help improve your skills quickly. Our voice analysis technology can detect hesitation words, pace of voice, vocal volume and more. This feedback ensures you’re teaching with clarity and that your audience can understand your message. Learn how to interact and engage with your trainees so that they stay engaged with the content for a positive learning outcome. 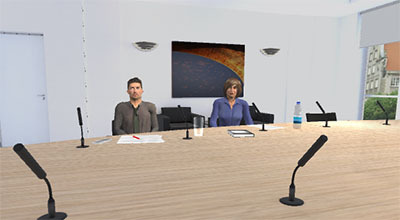 Overview of the VirtualSpeech VR app and course. We explain where to download the app and how VR can help you improve your training skills by letting you practice in a realistic environment. Learn about the benefits of being an effective trainer within your organisation and why training can feel unnatural to both you and your participants. Finish with a learning environment activity. This lesson covers all areas of planning a training session, including a look at different learning strategies, use of visual aids, session timings and everything else that needs preparing. The first 15 minutes are crucial for a successful training session. Learn how to introduce both yourself and the course, before practicing what you have learnt in our VR training scenario. Communication skills are vital for keeping your participants engaged. Understand the importance of ethos, how to use statistics in your training material and the power of storytelling. Speaking rate, pauses, volume and pitch are essential communication skills. Learn how to use these during your training to emphasise key points, and then practice them in our VR scenario. Positive body language and eye contact help keep your participants engaged. After learning about these, you’ll watch examples of good and bad body language to emphasise how this looks to the participants. Understand how to ask questions to ensure your participants are following along, as well as dealing with correct and incorrect responses. The topic of answering questions is covered towards the end of this section. Not all training sessions will run smoothly and not all participants will behave as expected. This sections covers difficult scenarios which might occur and how to deal with them. This section explains how to end a session and follow up with participants after the session. A checklist for before and after your session is also provided. 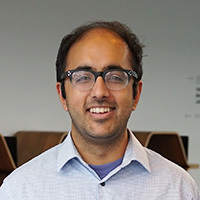 Rasool studied Experimental Psychology at Oxford University, before starting his career in software development. He now works as a trainer, primarily targeting middle and upper management, focusing on modern computing technologies, including AI, cyber security and blockchain. Practice your training skills with the leading VR app, downloaded by over 250,000 users. 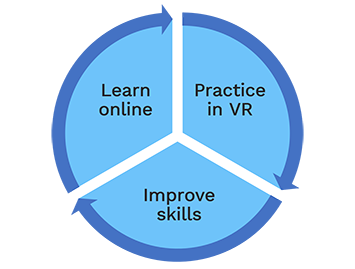 At key points during the online part of the course, you'll be prompted to practice what you've learnt in one of the following VR training scenarios. The first VR scenario gets you delivering a training session straight away. This will help you identify areas of your delivery that need improving. Record your presentation and review it afterwards. The introduction is important for capturing your audience’s attention. 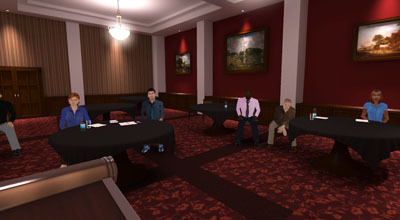 In this virtual scenario, you’ll practice delivering a short introduction of yourself and the topic you are teaching. Practice active listening, questioning techniques and building rapport with your audience. Learn the fundamentals of interacting with your audience and how to answer tough questions. Learn how to keep individuals engaged in your training sessions, even when explaining complex topics. You’ll practice storytelling and different presentation techniques. Personalise your training by adding your own slides into the virtual scenarios. Receive feedback on your training session with our voice analysis technology. Learn how to deal with trainee distractions such as talking and mobile phones. Save your training sessions to listen back to. Identify areas you need to improve. Upload training sessions to your learning portal, which you can then send for further analysis. 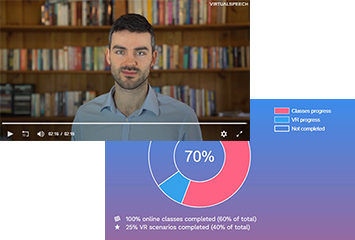 Full online curriculum, access to all Train the Trainer scenarios in VR, all roleplay scenarios, voice and eye contact analysis and continually updated content. "Terrific idea. Took the course to practice for a training session with a small audience that's coming up in a few days. The VR was surprisingly intimidating, in a good way." "Loved the course - as a complete beginner trainer, it helped me understand how best to teach my colleagues. I could then practice my delivery in the virtual rooms."